Galvo laser cutting (more commonly known as Die Laser cutting) is one of the most commonly used techniques for editing thin plate and sheet material. Laser cutting technology allows for creating complex shapes and big batches at high speed. Die cutting is a technique which originates from the leather and shoe industry. 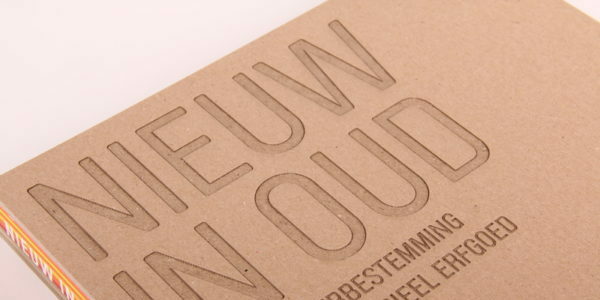 Founder Joep Hoffmans sr started using die cutting when the company was founded in 1951. 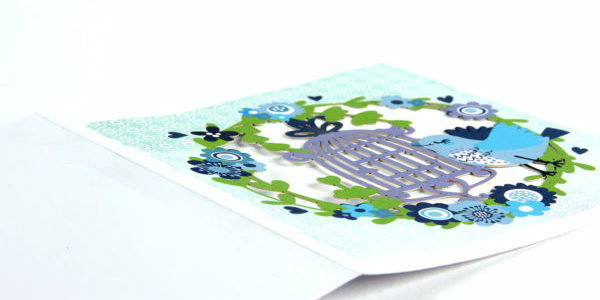 Over time this technique developed from the traditional die cutting with knives into laser-cutting. This development allowed for a greater variety of uses as well as improved precision. Furthermore, laser cutting can reach laser speeds with which regular laser techniques cannot compete. This allows us to produce with laser cutting items in series of more than 100,000 pieces for competitive prices. Laser cutting technique is quick, precise and ideal for cutting shapes out of paper, cardboard, veneer and plastics of up to 0.8-1 mm thick. Thanks to their optics, our Galvo laser cutting machines are a lot quicker than our flatbed laser cutting machines. Due to this large series of up to over 100,000 pieces are competitively priced. Especially when regarding paper, cardboard, veneer, and synthetics with a thickness of 0.8 to 1 mm, laser cutting is a lot more time efficient. With over 60 years of experience, Yart Factory is the specialist when it comes to applying laser cutting techniques on materials such as paper, wood, and polyester. 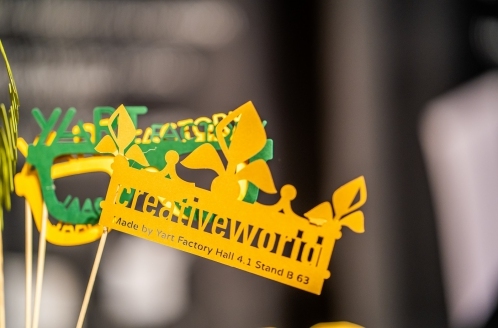 Yart Factory can personalise products by using Die Laser cutting. As an example, we can apply serial numbers, names, and addresses to the product. This way we can also personalise packages for you to surprise your own customers, and we can make your personal mail a little extra special. 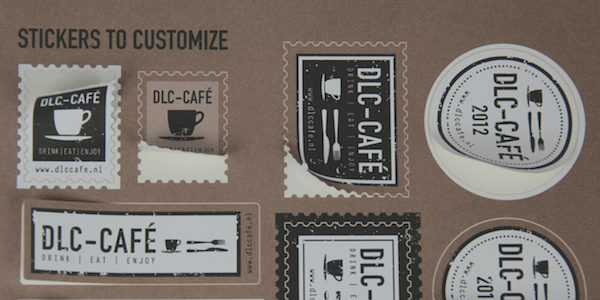 This technique is during the production of stickers and self-adhesive stencils. We will laser cut only one layer , or the release paper or the sticker paper. A combination from laser cutting and laser kiss cutting within one operation is possible. Creasing is the process of applying folding lines on materials such as paper or cardboard. Yart Factory can add creases/folding lines on final products with just one simple step during the laser process.